Juddmonte Farms’ REPLETE topped the third day of the Tattersalls December Mare Sale at 775,000 guineas and in the process took Tattersalls’ annual turnover into unchartered territory, breaking the previous turnover record set in 2014. The third day saw a total of 184 lots realise 7,159,200 guineas at an average of 38,909 guineas and a median of 18,000 guineas. With one day of the Tattersalls year to go, annual turnover now sits just below 265 million guineas, 1.5 million guineas ahead of the previous record. 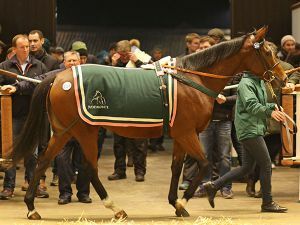 The Juddmonte dispersal on the third day of the Tattersalls December Mare Sale proved, as ever, to be a highlight with REPLETE topping proceedings at 775,000 guineas. A lively bidding exchange was kicked-off by US-based agent Justin Casse and involved Australian Jon Freyer of Arrowfield as well as US-breeder Greg Goodman of Mount Brillliant Farm but it was Amanda Skiffington who ultimately came out on top. 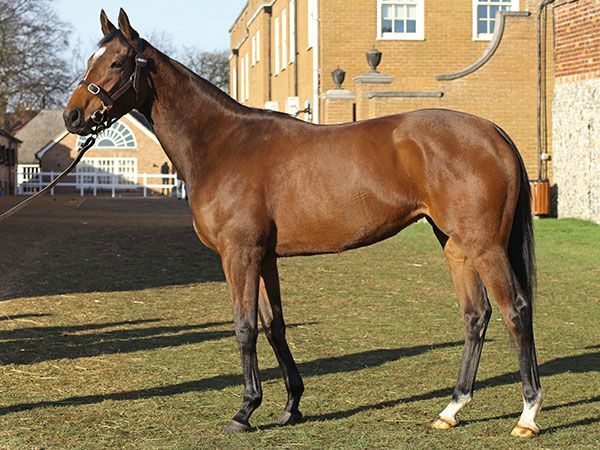 The regally bred filly is out of the Champion European filly BANKS HILL whose victories included the Grade 1 Breeders Cup Filly & Mare Turf, the Group 1 Coronation Stakes and the Group 1 Prix Jacques Le Marois. She is also a sister to a stellar cast of Group 1 performers including INTERCONTINENTAL, CACIQUE, CHAMPS ELYSEES, DANSILI and DELUXE. REPLETE, by the 2,000 Guineas winner MAKFI, is a half-sister to Group 1 Prix Jean Romanet winner ROMANTICA as well as Listed winner IDEAL WORLD. "She is obviously the nicest here. She has a wonderful page and is beautiful herself. She comes from a family that is rarely on the market. She could be a great mare for Galileo." The sale of REPLETE represented a record price for a Juddmonte Farms consigned filly or mare at the Tattersalls December Mare Sale. 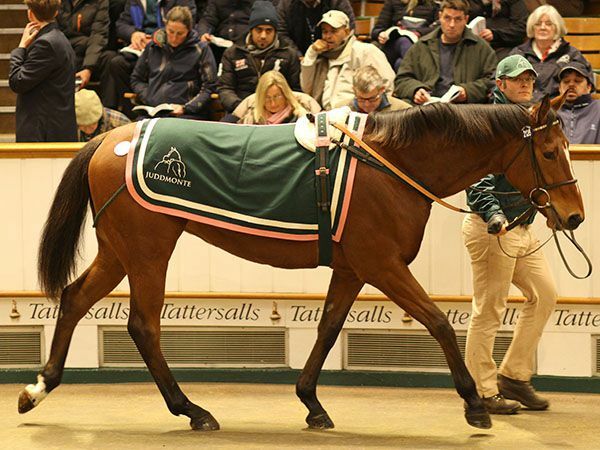 Their consignment realised a total of 2,657,500 guineas for the 33 lots sold. The second top lot on the third day of the Tattersalls December Mare Sale was the Listed-winning three-year-old filly LIGHT UP OUR WORLD who was knocked down to Luke Lillingston on behalf of John Moore’s and Charles Noell’s Merriebelle Stable for 420,000 guineas. The attractive daughter of ZOFFANY won the Listed Coral Distaff earlier this year and has been placed multiple times in Group company. 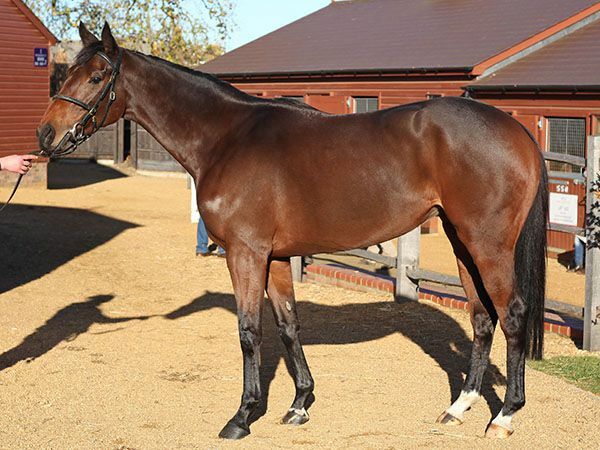 Offered for sale by Overbury Stud on behalf of owner-breeder Derek Boocock, the bay filly has a Timeform rating of 107 and is from the family of Group 1 Coronation Stakes winning FALLEN FOR YOU. "She might go to the US or she might finish racing, options are open. She vetted very well, she gets 1m1f and she goes on all ground - she should suit racing in the US. "Derek has four or five mares and has been breeding for a long time. He enjoys breeding and selling when the time is right. He might have kept her and continued to race, but the price was right. "He sold Light Up My Life for 425,000 guineas here in 2013, so the mare has been good to him. He has Rockshine, the two-year-old by Fastnet Rock to run for him, a colt foal out of the mare by Rip Van Winkle and she is in foal to No Nay Never." It was another Listed winning three-year-old filly that achieved the third highest price of the day, this time it was FLYING FAIRIES who made 280,000 guineas when knocked down to Irish trainer John Oxx. Consigned by Joseph Murphy’s Crampscastle Stables, the daughter of HOLY ROMAN EMPEROR won the Listed Trigo Stakes at Leopardstown in October and is rated 104 by Timeform. "She's still improving. Her last run was her best. She's had a long season, she will have a break and we will look for something in the spring. She should give her new owners some fun." In addition to REPLETE, another highlight from the Juddmonte consignment was MEGARON, the own-sister to this year’s Listed Pomfret Stakes winner CONVEY, who was knocked down to Sheikh Juma for 200,000 guineas. The three-year-old daughter of DANSILI is out of Listed winning mare INSINUATE, the dam of six winners which in addition to CONVEY include Group 3 Supreme Stakes winner STRONGHOLD and Listed Pretty Polly Stakes winner TAKE THE HINT. "She is lovely filly, very well-bred. We have no plans yet, Sheikh Juma will decide on her covering plans." The Tattersalls December Mare Sale continues at 9.30am on Thursday, December 1.